1975: GEI indigenously and cost effectively substituted imported components while ensuring timely Deliveries and thus got the status of ancillary to BHEL, Bhopal. 1980: GEI developed finned tubes as substitute for imports. The Company also made prototype coolers; BHEL accepted these as viable import substitutes. More than 25 varieties of heat transfer characteristic Curves were developed and issued to different units of BHEL. GEI started designing air-coolers, thus becoming a complete heat transfer solutions company. These coolers were technically superior to those imported from Siemens, Germany and were accepted by BHEL. 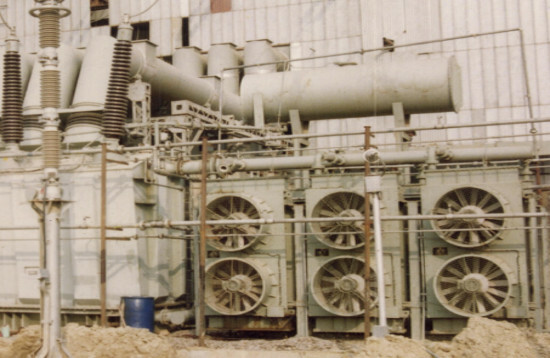 1985: The Company developed small fin fan coolers for cooling transformer oil using atmospheric air as cooling media and also developed tube inserts for these coolers to enhance heat transfer rates for oil applications leading to size and operating efficiencies. These tube inserts were also used in ACHE for lube oil applications. GEI is currently the only Indian company approved by NTPC for the supply of these coolers. 1988: BHEL entered into a technical collaboration with General Electric of USA for manufacturing, gas turbines. GEI successfully developed fin fan coolers for cooling systems (or dry cooling tower as it eliminates water use) along with pumping systems, piping instrumentation, and valves. The Company went on to establish itself as a major supplier for this product and became the only Indian company to be approved by General Electric, and Siemens. GEI has supplied these products to the USA, Europe, Middle East and South East Asia for both General Electric and Siemens design gas turbine. 1991 – 1994: The Company developed air-cooled gas coolers for CNG projects of GAIL in 1991. GEI registered itself as an approved supplier for fin fan coolers with EIL in 1993. The Company became member of Heat Transfer Research Institute (HTRI) in the subsequent year. HTRI provides thermal design software for fin fan coolers using all types of fluids including hydrocarbons inside the tubes. 1999: GEI received got ISO 9001 certification and got itself registered with NBB and ASME of the US to offer “U”stamp certified high-pressure tube bundles. 2000: Toyo Engineering selected GEI to supply ambient air heaters to heat low temperature water glycol mixture with comparatively warmer atmospheric air for the first LNG re-gasification facility of Petronet LNG at Dahej in Gujarat. The technical process envisaged use of air as heating medium unlike in an ACHE where air is used to cool hot fluids. This process was being used for the first time globally. GEI designed and supplied the product, which performed to specifications. Toyo, Japan using CFD analysis subsequently validated the design. Exon Mobil, USA, also endorsed the design and product. 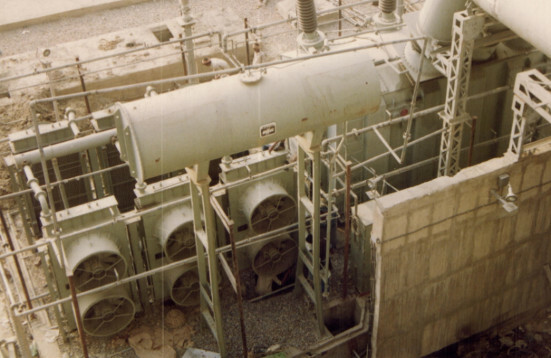 2000: The Company developed Air Cooled Vacuum Steam Condenser (ACSC), a new product. This product replaces the conventional cooling tower in a thermal power plant, and uses 90% less water (environment friendly). Here the turbine exhaust steam is condensed by atmospheric air in a fin fan a frame type exchanger. 2007: GEI developed shell and fin-tube type coolers for compressed air cooling using water and was the first to supply such coolers for large packages for projects executed by Siemens India. Siemens has also approved the company’s product for worldwide projects. The company has supplied these products to Atlas Copco and Siemens for air separation plants set up in India by Air Liquide of France. 2010 – Establishment of 100% subsidiary, GEI Power Limited, Mandideep (2010). 2011 - Agreement with Innospin for single and multirow condensers of 200 W and above. GEI in Air Cooled Heat Exchanger segment leads in all Public Sector and Private sector refineries in the country having GEI make fin fan coolers. More than 2500 units of air cooled tube bundles are operating at different locations including natural gas compression projects, onshore and offshore facilities and petroleum refineries across the country and abroad. GEI has handled high pressure services up to 350 bar design pressure and supplied the exchangers for corrosive application involving special alloys like duplex and super duplex stainless steel, chromium-molybdenum alloys and incoloy apart from like standard metallurgy and like carbon steel and stainless steel. GEI is currently the leading player Air Cooled Steam Condenser field also and has more than 125 units in its reference list operating at various locations including the first largest size in India for a 150 MW plant capacity. The company has the technical capability to supply this product to super critical thermal Power plants up to 660 MW units. GEI entered into a technical association with Innospin, Switzerland to Offer his product. This product is housed in GEPL.